Applications must be submitted by April 1, 2018. This is an excellent opportunity for students who are children and relatives of Oklahoma firefighters (OSFA members). Detailed information about the scholarship is below along with the link to this specific application page. Students may also receive detailed instructions about our online application process by going to the scholarship page on our website at www.occf.org/scholarships. Please know that applicants must complete a General Application before applying to specific scholarship opportunities. Think of the General Application as setting up a Student Profile. Submitting a General Application does not mean that an applicant has applied for any scholarships. 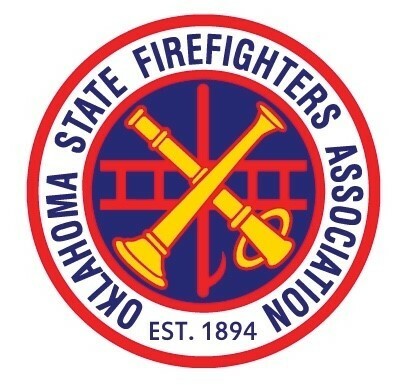 Pete and Lela Stavros Scholarship Eligibility: Graduating Oklahoma high school seniors who are children and relatives of Oklahoma firefighters who are members of the Oklahoma State Firefighters Association (active or retired). All application materials will be reviewed by the Pete and Lela Stavros Educational Foundation and the Oklahoma State Firefighters Association to verify the applicant’s relationship to an Oklahoma State Firefighters Association member. Funds may be used for educational-related expenses such as tuition, fees and books at any academically accredited two- year, four-year or vocational technical nonprofit institution in the United States. Payments are made directly to the school. The Pete and Lela Stavros Educational Foundation was established following the retirement of Pete Stavros as director of legislation for the Oklahoma State Firefighters Association. Scholarships given by the Pete and Lela Stavros Educational Foundation honor his career and service as a firefighter and promote the couple’s interests in providing educational opportunities for the children of Oklahoma’s firefighters. A permanent endowment fund was established at the Oklahoma City Community Foundation in June 2002 and continues to receive contributions from association members across Oklahoma. After completing the General Application/Student Profile, applicants must submit the Supplemental Questions (below) to complete the application: 1. Describe your career goals and how your education will help you achieve them. (Please limit to 500 words.) 2. Describe three activities outside the classroom that you value and how they influenced your educational goals. (Please limit to 500 words.) 3. Are you the child of, or are you related to, an Oklahoma firefighter(s) who is a member of the Oklahoma State Firefighters Association (active or retired)? 4. OSFA Member Name 5. Fire Department 6. Your Relationship to the OSFA Member 7. Service status 8. What will your college living arrangement be? 9. On the General Application/Student Profile, please make sure the person you requested to write a letter of recommendation on your behalf is your high school guidance counselor or principal. 10. Did you submit your household's 1040 or your FAFSA for the coming year when you completed the General Application? (NOTE: If you answered "no", please know that financial need may be considered for this scholarship, and to be eligible for this scholarship you need to return to the General Application/Student Profile and attach a 1040 or FAFSA.) 11. Did you submit a picture? A yearbook style headshot picture is required.